We are a family owned business, owned and operated by John and Deb Toftee. 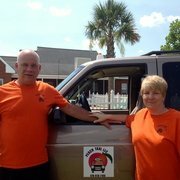 We started this business in 2014 as we saw a need for quality reliable transportation service to the middle Georgia Area. We go the extra mile for our customers literally! If you need a ride call the best taxi service around.